midweight silk fabric with the character of fine crepe in five- to eight-bond satin/atlas. Grege is used in the warp, crepe with alternate S and Z twists in the weft. 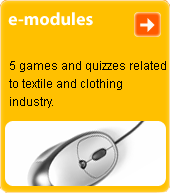 C. s. is also produced from viscose rayon or synthetic fibres. Used for ladies' dresses and blouses.